Facebook is the most widely used social media platform today. With over 2 billion active users, your organization has a lot of people to impress. But, with declining organic reach, succeeding on the platform is more difficult than ever. What’s a busy marketer to do? Help you optimize your profile. Create posts that stand out and drive tons of engagement. Learn how to gather and analyze data to prove your efforts are working. 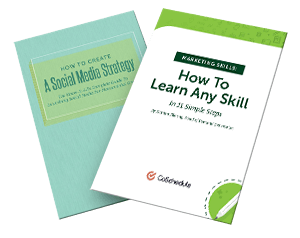 So, dig in, grab some free templates, and learn some new Facebook marketing tactics you can implement right now. There’s bound to be at least a few you haven’t tried before. A social media content calendar to start planning and organizing your posts. A Facebook marketing strategy template to help guide your social team through want kinds of content to post. A Facebook video marketing strategy guide to help your team decide what kinds of videos you’ll produce for your Facebook channel. An infographic on the best times to post on social media to keep on hand for reference. A social media report template to present the performance of your Facebook marketing efforts (and social media marketing across the board). A social media ROI report template to keep track of how much Facebook is contributing to your bottom line. 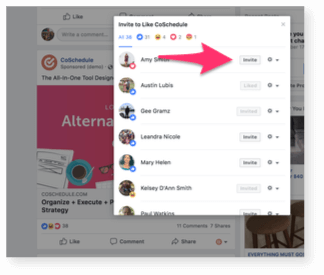 Did You Know CoSchedule Makes Facebook Marketing Easy? CoSchedule is the ultimate all-in-one marketing and social media calendar to plan and publish every post. (Along with organizing everything else in your marketing strategy, too). Plan your entire social media and marketing strategy in one place. Schedule all of your social media promotion (including Facebook posts) alongside all your other content and projects. Measure the results of your Facebook marketing efforts with built-in features like Social Engagement Reports. Want to see how it works? Snag a free trial and use it to try some of your new Facebook marketing tips. The first step in any Facebook marketing strategy is getting your business page set up. You may already have a business page up and running, but these tips can still help make sure your profile is effectively optimized. Make sure it’s a high-resolution photo and is still clear when it’s shrunk down to small size. Ensure it’s 180px by 180 px. Be the correct size at 828 px by 315 px. Relate back to your profile picture. The two should fit together. Be under 60 seconds if your team is using a cover video. Your cover photo gives you lots of space to play with, and it’s a significant part of your Facebook profile. Why waste that enormous amount of space when you can add a compelling CTA and encourage your audience to take action instead? 1) The like button: this type of CTA should be used when you want to grow your audience. It tells them directly what to do and keeps it simple because all they have to do is click. Facebook has changed their cover photo rules. We're showing you how to leverage these changes. This week we're demonstrating asking people to Like you. Stay tuned for more in the weeks to come! 2) The follow button: The follow button is a bit different from the like button in the fact that audience members who choose this action have more control over when your content shows up in their feed. They can choose to prioritize your content, so it shows up immediately in their newsfeed or even get notifications each time you post. 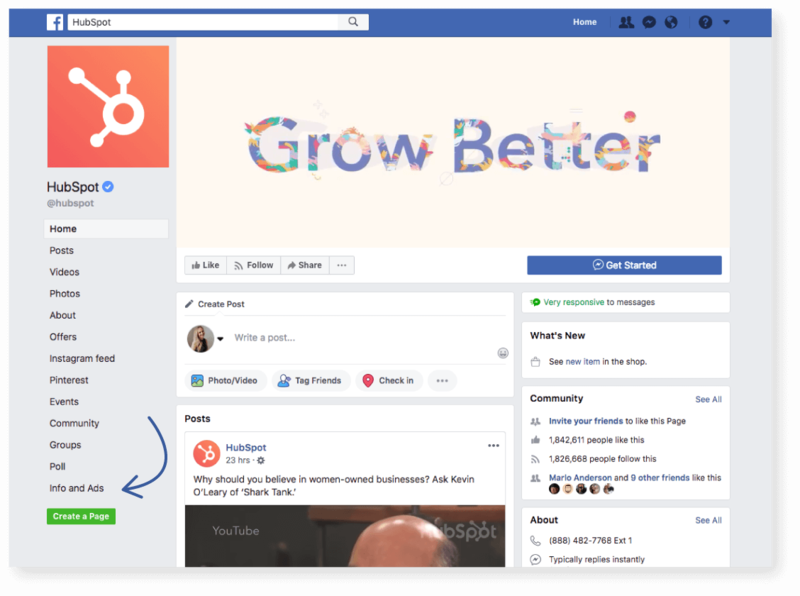 3) Custom CTA button: Facebook also gives you the option to add a custom CTA button on your Facebook feed that your cover photo can help drive your audience to click. The final step in creating your Facebook business page is to fill out your biography. Facebook has a more extensive bio section than other social networks. The founding date of your company. The next part of your bio is going to give your customers more information about who and what your organization does. A short “about us” section. A list of products and services your company offers. The final part of your bio is called “Story.” This is a space that your organization can use to explain not only how your company got started but what makes your organization you. Facebook tabs are a great way to organize different content types and allow your audience to find the information they are looking for. 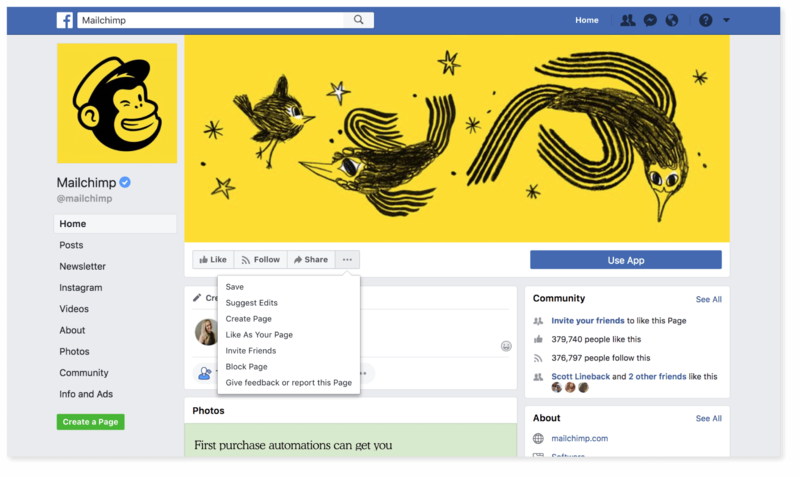 3) Build Your Own Tabs: Facebook gives admin and page editors the option to build their own tabs using the Facebook Developer page. This process can get complicated quickly, especially if you’re lacking coding skills. Fortunately, Facebook has a full tutorial in case your development team needs help getting started. If your reach, shares, and engagement are low, it could mean that your audience just doesn't like the content you're sharing. Fortunately, there are ways to figure out what your audience does enjoy. 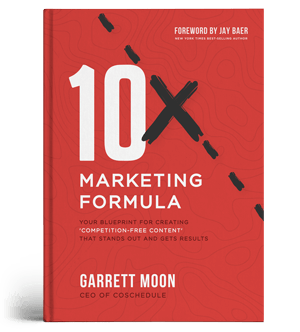 Once you find a winning formula, you can continue giving people what they want, and see more success. Look at your analytics to see what has performed well in the past. Try a new type of content. Image galleries, videos, Facebook Live, and snippets from infographics are just a few ideas to get you thinking. Facebook wants to keep users on its platform as long as possible. As a result, sometimes posts without links can perform better than linked posts. The logic is simple: if people are engaging with content completely within Facebook, they'll stick around longer than if a link takes them aways somewhere else. Now, if your goal is to drive website traffic, then you'll want to primarily post links. But, if generating brand awareness is worthwhile on its own for your company, then mixing in posts without links might help improve reach. Sophisticated strength in each line and curve. It allows you to get inspired by what other companies are posting about. You can interact and start building relationships with other companies, which may come in handy with other marketing activities. By liking and engaging with their content, they might be more likely to return the favor - resulting in increased reach for both you and them. To like another business as your page, start by finding the business you want to follow. On their page, click the 3 dots under their banner image next to the share button. Then choose "Like as your page"
Keep in mind that you must be an admin on your business page for this to work. There's no sense in waiting until the day you plan to post to start creating content. Your team needs to have a strategy before you even start thinking of what text to include in your posts. Having a strategy helps your team avoid last minute posting and guessing at what is going to connect with your audience. You’re on Facebook for a reason. You believe that being active on the channel will help your reach the business goals that your organization has set for the year. 1) Focus on what metrics you need to track to see if your Facebook strategy is contributing to the overall business goal: The metrics that you track for Facebook need to contribute to your overarching business goal. For example, if your overarching business goal is to increase your audience by 50% in the next year, one of the metrics you would track for Facebook is how many followers are you gaining. 2) Use the previous year’s data to influence the goals you set for the upcoming year: If your company has had an active Facebook page for a while, use the data from the previous year to help set your goals for the upcoming year. Going back to the followers example, you could check and see that over the course of last year, your page gained 100,000 followers. Your goal for this year could be to gain 125,000 followers, a 25% increase over last year’s growth. 3) Make sure that your goals are realistic: It’s easy to set high goals for your team. In fact, you want your goals to challenge your team. However, your goals also need to be realistic. That means that trying to triple your follower rate might be a bit out of reach, but growing it by 25% would be more realistic. The voice and tone that your brand carries online should be a significant part of any Facebook marketing strategy. What you sound like should be a reflection of who you are as a brand. We are funny but not crass. We are professional but not stuffy. We are peppy but not obnoxious. 2) Establish your tone: your tone is going to be in constant flux because your tone is not just what you say it’s how you say it. It is the exact opposite of your voice because it’s going to change with every post you create. For example, if your company is experiencing technical difficulties and your voice is usually upbeat and fun, you wouldn’t want to sound like that when you’re letting your customers know what’s going on. They would expect you to be serious and let them know what’s happening, what steps your team is taking and when they can expect to see the site back up and running. Facebook groups are great for bringing potential customers together in one place and allow you to connect with them and help move farther down your funnel. Choose a topic centered around a keyword that relates to your audience: Finding a topic that is related to a keyword that your audience is searching for makes it easy to find you. Make sure that your group description is up to date: Explain to your audience what the purpose of the group is and rules of what can and cannot be posted there. Keep a steady stream of content related to the topic of your group: It may be up to your social team to keep a steady stream of content for group members to talk about. Make sure that any content you share is reliable and accurate to help encourage discussion. Your business page is set up, and now you need to start filling it with content. Facebook has a variety of different post types that you can use to make an impression on your audience. Videos have surged in strength over the last few years with Facebook investing more and more into video with Facebook Watch launching earlier this year. Keep your videos to about a minute and 30 seconds. Your audience has an attention span of about 8 seconds (which is less than a goldfish) meaning that your videos need to be short and to the point. Make sure the first 60 seconds are the most engaging. Similar to YouTube and its "pre-roll" ads, Facebook recently started introducing "mid-roll" ads. This means your viewing experience may be interrupted by an ad after the first 60 seconds. If you really want your viewers to stick around to see the rest of your video, make sure the first 60 seconds hook them. Bear in mind, only videos longer than 3 minutes will be interupped with a "mid-roll" ad. Keep your topics related to your company. Don't create or share videos that aren't relevant to your business. That latest viral video craze might be funny, but is it going to strengthen your brand? If the answer is no, then don't do it. This is similar advice to the point above, but it's important to mention. When you're sharing video content on Facebook, make sure you share the video directly on Facebook, rather than linking to your YouTube page or similar. With Facebook doubling down on video content, the site will likely reward you with increased reach if you share your videos natively. Here's a sneak peek at some of our own results when we share video content directly via Facebook. Facebook Live use is up 330% since its launch in April 2016. Find a quiet place. Broadcast somewhere quiet so people can hear you. Keep your camera steady. No one likes a shaky video. Check what’s behind your subject. Double check there’s nothing in your background that you don’t want people to see. Don’t overthink it. When it comes to Facebook live, the simpler you can keep your videos the better. Click Go Live once you're ready to go and you'll be broadcasting live. Like it's mobile counterpart, after your live video has ended it will archive itself and any fans that missed it will be able to see it again in your feed. Facebook Polls are a fun way to create engaging content on the platform. After all, who doesn't like to get their opinion heard? 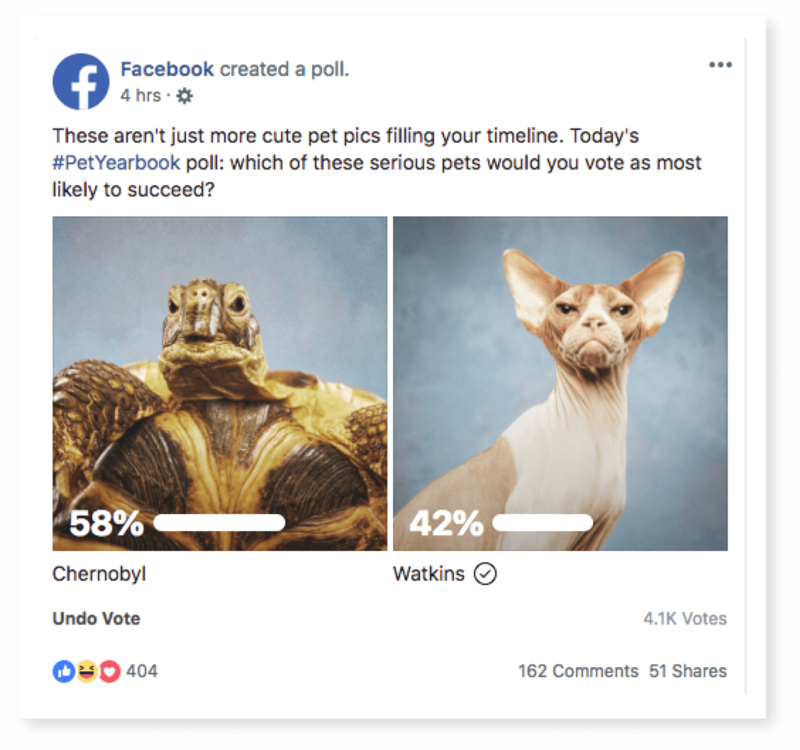 Facebook itself uses this feature for its #PetYearbook contest where users can vote on various categories like "Most Likely to Succeed" and "Best Hair". To create your own Poll, click the three dots under where you would normally create a post. Then, choose the option that says "poll". Facebook images need to be the right size to make the maximum impact on the newsfeed of your audience. Facebook images need to be 1200px by 630px. 1) Facebook albums: These are the traditional photo albums that you can use to categorize product photos etc. Facebook albums are great when you have a lot of photos that you want to add your page. Albums help keep them sorted and organized which make it easier for people to look through. 2) Multi-image posts: These are standalone posts that allow you to upload multiple photos in a single post but it does not create an album. Multi-image posts are great when you have smaller amounts of photos to add that don’t necessarily need to be categorized. Today was Twin Day at the office. Which pair is your favorite? 3) Facebook Carousel posts: Carousel posts are just like their ad counterparts in the fact that you can add up to five photos that link to a web page and allow people to scroll through them. Carousel posts are a great way to make an impact with images that also link back to your web page or landing page. Facebook is a great place to link out to articles, landing pages and any other web content that your team creates. 1) Shorten your links with bit.ly: If you’re going to include the link in your post, don’t post a massive link with long tails of letters. Shorten them up using bit.ly. 2) Don’t worry about choosing a photo: Facebook selects the best photo for your links when you’re adding them to your posts. Due to some changes, you also won't be allowed to modify the preview image when sharing a link. 3) If you want a cleaner looking post, delete the original link and enter your text by itself: Once you enter your link into your Facebook status and Facebook generates a preview, delete the text to enter your own. It’s important to note however, that if you delete your link from your text, it will still stay in your post. Facebook allows pages to target their posts towards certain audience members, much like how you target your ads. However, you can only access that type of target if your Facebook page has more than 5,000 followers. Facebook broke down how to access this free feature here. 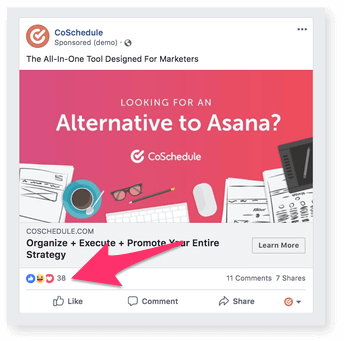 Did you know that when you use CoSchedule, you can use our Facebook targeting features to help your posts connect with the right people? In May we released every social media marketers' best friend, the Social Message Optimizer. Facebook makes it easy to cross-post between other social channels. If you have that feature enabled, turn it off. Doesn’t allow you to customize your posts for each network. Will cut off text if the network has a limited amount of characters (Twitter). Comes across as lazy to audiences who are following you on multiple networks. In summary: Don’t post your content from Facebook across multiple channels. It may save you time, but it won’t save your engagement rates. Facebook events are a great way to reach out to your audience and get them to connect with you. Your company’s organic reach is most likely on the decline. Due to the sheer number of pages on Facebook, and Facebook’s algorithm, the reach potential of your posts doesn’t exactly fall in your favor. 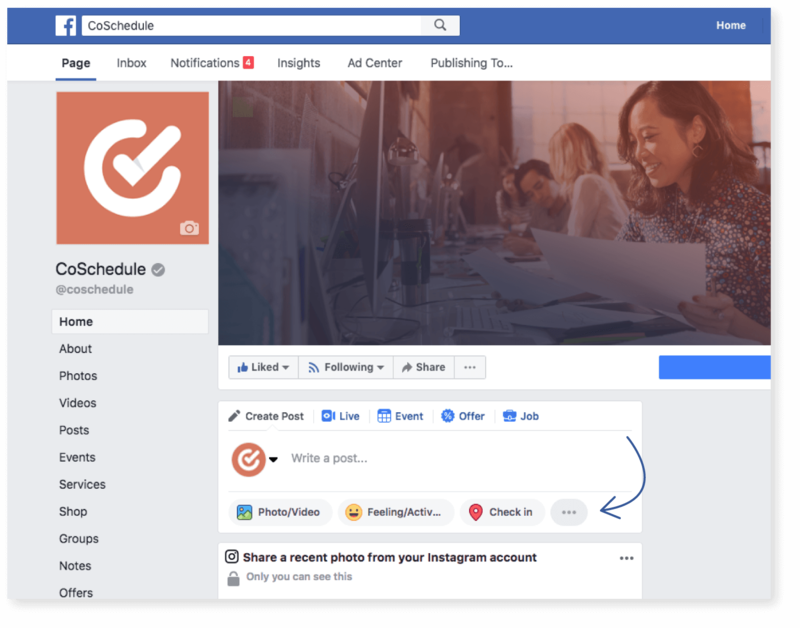 If you’re not using CoSchedule for your social media scheduling you’re missing out on the ability to send your posts at the best time for your Facebook page automatically. Posting at the right time is an important part of your Facebook marketing strategy, but so is the number of times you post. There are quite a few options out there for Social Media monitoring, and each offers a slightly different benefit. Some, like Rival IQ, focus on benchmarking, which eliminates the need to bounce from channel to channel just to see competitor activities. Tools such as this make it easy to see how your social media activities stack up against the competition. Others, like Brandwatch, allow you to stay on top of what people are saying about your company and visualize how your specific Social Media campaigns are performing. The downside? The learning curve can be a little steep as Brandwatch is built on boolean logic. Write down your objectives: Are you looking to see how your brand stacks up against the competition? OR are you looking to be in-the-know about what people are saying about your company? Making this distinction will help in choosing the right tool. Consider specific functions you need: Some tools offer more powerful filters such as sentiment analysis, language breakdowns, and geographic location. Will you need these special features? Resources: We're all on a budget... and some of these monitoring tools cost as much as a small car. Make sure you do your research beforehand so you don't fall in love with a tool only to realize there is no way you can squeeze it into your budget. Because of Facebook’s massive userbase, there's tons of opportunity to grow your audience on the platform. Facebook offers an ad set that allows you to promote your Facebook Business page and help people find and “Like” you. Expand the reach of your posts. Did you know you can see all the Facebook ads other companies are running? You won't be able to see targeting or ad spent, but you can take a gander at their creative and see if they're A/B testing various copy, images etc. To see this info, navigate to another company's page. Then click "Info and Ads" on the bottom left-hand side. There are a couple different reasons you might want insights into a company's Facebook ads. Analyze prospective clients: If you're an agency, this feature makes it easy to analyze a prospect's ad copy, creative, and website in order to make suggestions for improvement. Get competitive insights: Look at their Facebook pages and their clients’ Facebook pages. Are they doing anything wrong that you could do better? One way that you can attract a bigger audience to your Facebook page is adding social channel buttons to your website. You have a lot of traffic going to your website, exploring products and interacting with your company as a whole. If they like what they see you can encourage them to keep up with you on your social media channels. 1) Make sure that your buttons are linking back to your social channels: Nothing is worse than when you click to follow a social link, and it takes you to the wrong social profile. Always double check your links. 2) Keep your channel icons in the same place on every page on your website: If you’re going to add social icons to any page on your website make sure they are in the same place for every page. 3) Update your icons if the social channel logo changes: Social channels will sometimes update their icon like Twitter going from a standard T to the Twitter bird. If your social channel icons are out of date, it can make you look out of touch with what’s happening with the network. Another way to help expand your audience is to add your Facebook page to your email signature. Organic reach has been on a steady decline over the past few years. Its increasingly becoming a "pay-to-play" environment. So what can you do that’s not going to cost your company a ton of money to increase the reach of your content? 1) Gaining a large amount of engagement from your fans. 2) Already has a decent amount of reach. It may be time to look at pinning that content to the top of your business page to help extend its life. This post will stay pinned to the top of your page for seven days. According to a Digital Intelligence Today article, 92% of people trust recommendations from friends and family above anything else. You can utilize that trust to grow your organic reach by sharing user-generated content. According to Salesforce, campaigns with UGC have 50% higher engagement rates. The more people engage with your content, the more it will show up in others newsfeeds. The more your content appears, the more reach you gain. Make sure that you give credit to the original publisher. Always ask if they want their content shared on your page. Let the author or reviewer know that their content will be published on your page. What does an example of a good UGC post look like? Here's a simple, but underused hack to increase followers. Running an ad is a great way to to get in front of a new audience, but did you know that you can also turn these individuals into more permenent fans of your page? All you have to do is invite them to like your page from your ad. First, bring up an ad that has several engagements and click to expand those engagements. Next, click to invite them to like your page. Naturally, not everyone will accept your invite, but those who have already liked your content will surely be more likely to convert into fans of your page. Okay, who doesn’t like free stuff? Running a contest on your Facebook page is a great way to increase your organic reach if it’s done correctly. 1) Make sure that people are sharing your posts. Engaging with content is great, but when people share your contest post. it ends up in the feed of all of their friends, easily tripling your reach. 2) Double check the images and text of your posts before you publish. The last thing you want is 100’s of people sharing your post with errors in your post. 3) Set a time limit. People will share your post like crazy which means that your team needs to set a time limit for how long people have to share your post. It will help create a sense of urgency and encourage your fans to take action now. Influencers can help increase your organic reach by getting your name in front of their audience. According to Convince and Convert for every $1 you invest in an influencer you experience a $6.50 return on average. 1) Make sure they include a PSA that their content is sponsored or an ad: The FCC is cracking down on posts from influencers who don’t identify that their content is being paid for by another organization. 2) Outline what their post needs to contain: your influencer content needs to be outlined before it’s posted including, accounts that need to be tagged, hashtags that need to be included and any images or media outlines that your influencer needs to create. 3) Connect with your influencers to gather analytical data: if your influencers are posting to their accounts make sure that your social team checks in to gather analytical data that your team can add to your report. A final way to increase your organic reach is to tag people and companies in your Facebook posts. Tagging helps draw people’s attention to your post and increases the chance they might share your content with their audience. Only tag company’s or influencers if they're relevant to your content. You cannot tag personal Facebook accounts unless their settings are public. Don’t just tag people to get their attention, tag them because you’re either giving them credit for your content or you think it would be of use to them. Facebook has a large variety of different advertising options that can get a bit confusing if you don’t know where to start. So we broke them all down for you. One of Facebook’s newer ads features allows you to create Facebook ads for the products that your company offers. You have a new product launching that you want to get in front of your audience. You have a large catalog of products and want to advertise them as much as possible. You want to categorize your products for the different members of your audience and target them for what they are looking for. Make sure your product photos are the optimum size at 600 x 600 px. Always keep your product feed up to date especially if something goes out of stock. Set automatic updates for your product feed. Let’s say you write a killer Facebook post, and your audience is loving it. You’d want to maximize the life of that post, and you can through boosting it. But don’t hit the blue Boost Post button that appears. 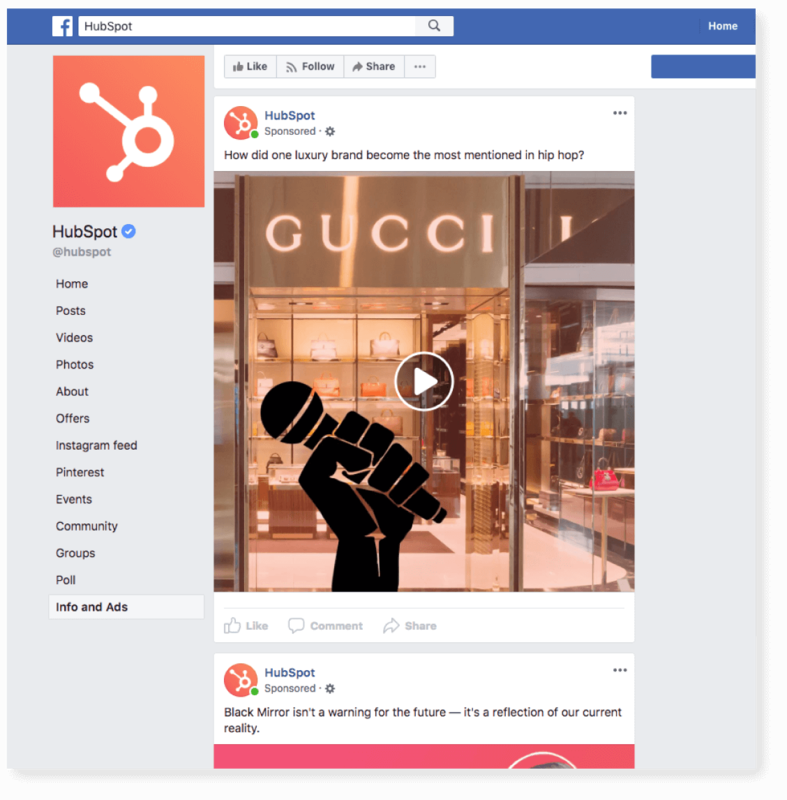 According to Hubspot, while that may seem like the easy way out, it’s better to boost posts through your ads manager. Watch who you’re targeting, create custom audiences if you need to. Set a reasonable time that the post should be boosted. Not to be confused with dark social (which refers to social traffic not tracked by your analytics tools), dark posts are targeted ads on Facebook. It's sort of like a cross between an ad and an organic post. A dark post won't show up on your timeline, nor in the feeds of your followers. Instead, it shows up as sponsored content to the audience you're targeting. The dark post will still be visible under the "Info and Ads" section. You create a dark post in your ads manager account. Why would someone want to create a dark post on Facebook? For starters, it offers more in-depth targeting than what is available to organic posts, so you to create custom ads for each targeted audience segment. What's more, is that each audience will only see the ad that's designed for them. Dark posts keep your content feeds cleaner. Sometimes we marketers want to boost multiple posts, but don't what them to clog up our timelines. Dark posts allow us to create content that's targeted to specific demographics, while also giving our organic posts precious timeline real estate. They keep you from spamming your followers. Consider this... as a follower, would you rather see 10 iterations of the same post or one dark post tailored for you? Carousel ads are another newer feature of the Facebook ad family and using them is great because it helps showcase a bunch of products or different features for a single product in one ad. Carousel ads always end with a link to a web page, so triple-check your landing pages. Mix it up and add video. Facebook has a whole page dedicated to giving people ideas for carousel ads. If you’re trying to think of ways to get outside the box with your, check out the page for inspiration. Your Instagram account needs to be connected to your business page on Facebook since the ads are run through Facebook ads manager. They must be viewable on mobile since Instagram ads are only accessible through mobile phones. You have to turn the Instagram ad feature on for each ad that you want to push to both channels. The Facebook ads manager can help keep track of all of the ads you’re running on the platform. Boosting posts in your feed on #Facebook? Use the Ads Manager instead. You’re putting all this effort into your Facebook marketing and you want to prove that it’s working. That’s where your analytical data comes in. Facebook breaks down data a ton of data for your team, but breaking down that much data does not have to be intimidating. Posts: Posts are going to break down the likes, comments, shares and reach that your messages received. Use this data when you want to prove that your audience is (or isn’t) engaging with your content. Reach: Reach is the number of people that saw your post. Facebook calculates both organic and paid reach in this section. Use this data when you want to see if the times that you’re posting on the channel are drawing the right amount of traffic. Followers: Followers refers to the number of people who have clicked the “like” button on your page to follow your posts. Use this data to keep track of the size of your audience and calculate the percentage rates of the people you are reaching with your content. Page Views: Page views refers to the number of people who viewed your Facebook Business page in a given time period. This data can be used to see if people are checking out the content you’re producing and following the page. 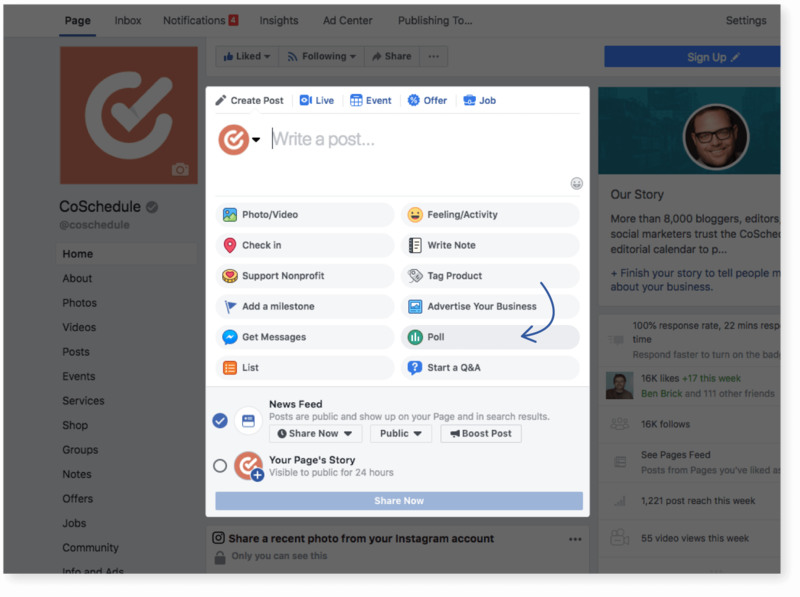 Actions On Page: Actions on Page is one of the more powerful data collection points in your Facebook analytics because it tells you how your fans are interacting with your page. Use this to see if you’re page is providing the right motivation for your audience to take a desired action. There’s a lot more data in your Insights page that you can use to track engagement and brand awareness metrics. If proving the success of a Facebook marketing campaign is a challenge (and let's be honest, every marketer has had this challenge), consider using UTMs. A UTM is a short code that's added to your URL. It connects to your analytics program (like Google Analytics) and provides insights about website visitors and traffic sources. Why should you use a UTM? By tracking key performance indicators like website traffic, leads, and conversions, you'll be more likely to prove the ROI of your Facebook marketing activities to your boss. You'll finally get to see the big picture regarding what’s working and what’s not. Armed with all these new insights, you can set realistic goals and expectations for your Facebook activities. Recommended Reading: Check out this how-to guide from Effin' Amazing. When you start out with Facebook advertising, everything feels like a guess at first. So, always be testing ad design and copy. It's the best way to know what's going to work for your audience. Images with and without text. Then, adjust one variable at a time, and see how it impacts performance. Over time, you'll develop an understanding of what works, and what doesn't. It comes as no surprise here, customers expect your social media channels to provide customer service from time-to-time. They want to connect with you where it is most convenient for them, which is usually not via email. That said, your business should be prepared to provide some light customer support on Facebook at the very least. Why should this be a part of a Facebook Marketing guide you ask? For starters, providing a good customer service experience helps build brand loyalty, a strong community, and reduces churn and customer turnover... All while giving you a perfect opportunity to show the human side of your brand. 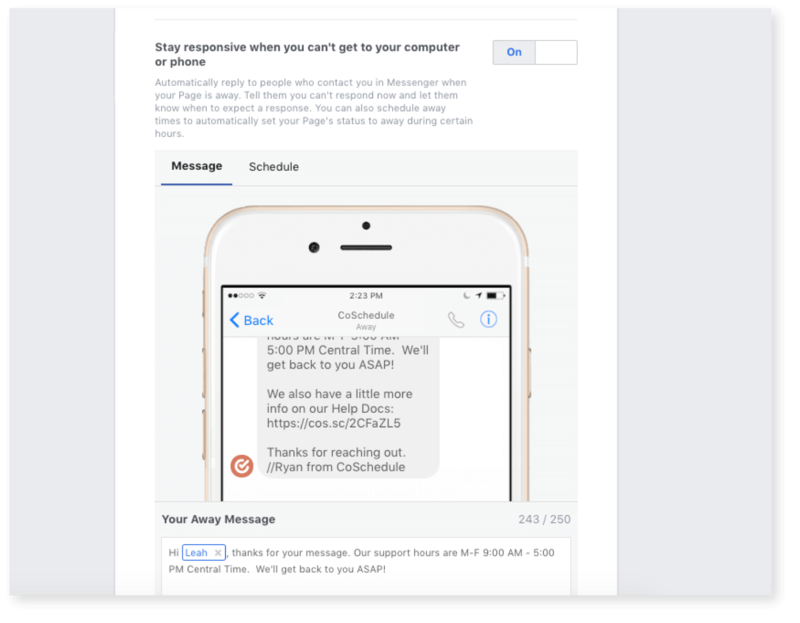 One easy way you can improve your customer service on Facebook is to set up an auto-response message to inform customers of your office hours. To do this, navigate to the settings of your Facebook business page. Then click "messaging" in the left-hand menu. Scroll down to the option that says: "Stay responsive when you can't get to your computer or phone". Here you can add a custom away message. If you really want to rock your Facebook marketing, be prepared to give away your business secrets. Make it rain value, while never holding anything back. It means cooking up content that provides real value without the need to buy your products. But here's the truth, if you give your Facebook followers the tools to be successful without you, the more they will trust you. This trust builds loyalty, and, in turn, will increase the likelihood of purchasing your product down the road. It's called the Halo Effect. 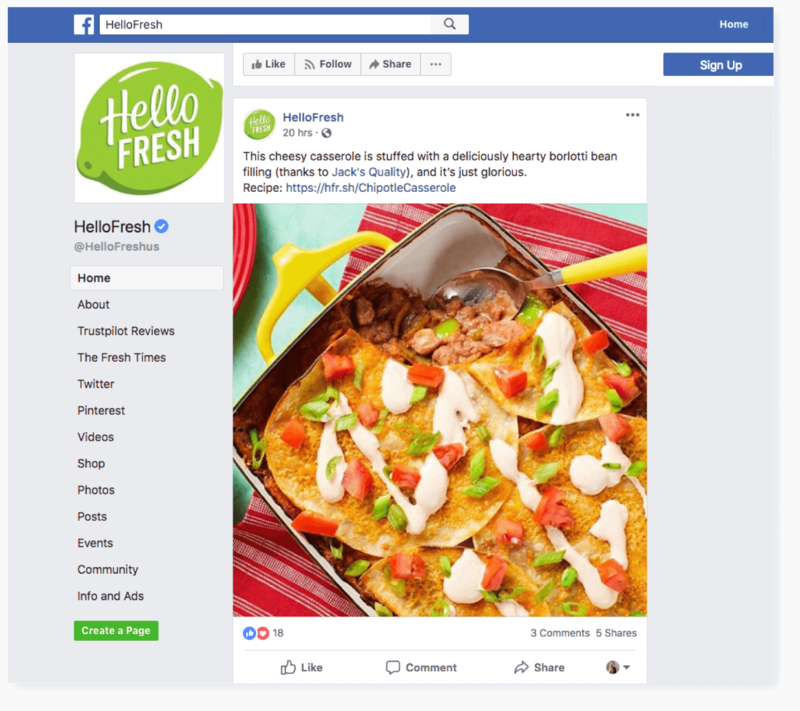 By giving away recipes for free on its Facebook page, the company is showing you how to cook a successful dinner without actually buying its service. This builds trust and shows people how delicious their recipes are. After trust has been established, someone will probably end up thinking, "Hey, wouldn't it be a heck of a lot easier if all these ingredients just showed up at my door?" Boom, all that free content you gave away just converted a new customer! Facebook marketing isn't easy. However, armed with these 49 tips, you're sure to have picked up something to help give you the edge over your competition. Are there any tactics you've tried that we've missed? Drop a comment below and start the conversation! This post was originally published on Nov. 20, 2017. It was updated and republished on Nov. 7, 2018.